The extraordinary discovery of four small frogs preserved in amber is providing the earliest evidence of these now-prolific amphibians living in tropical rainforests. New research published today in Scientific Reports shows that frogs—an animal that first emerged some 200 million years ago—were occupying soggy forested regions at least 100 million years ago. 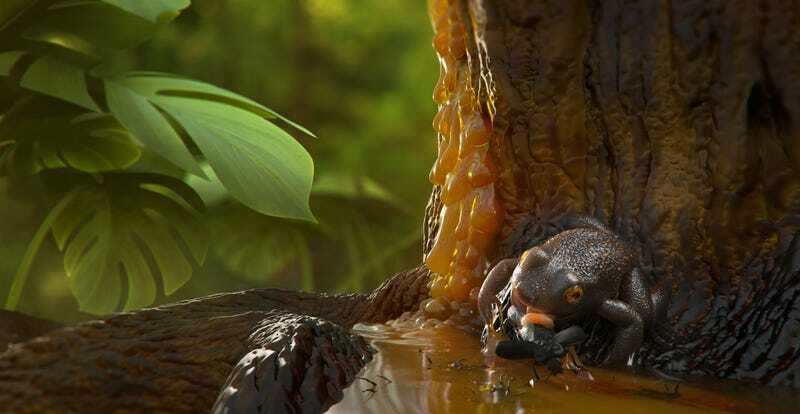 This discovery is a big deal because fossils of forest amphibians are rare, and because scientists haven’t been sure when frogs first started to venture into tropical habitats. Along with Lida Xing from the University of Geosciences in China, Blackburn analysed four exquisite amber fossils found in a deposit in northern Myanmar, formerly Burma. These amber fossils, along with others found nearby, also contained traces of plants, spiders, insects, and marine molluscs. For scientists like Blackburn and Xing, these tiny droplets of preserved tree sap are like a time machine, allowing them to visualise the ecosystems of ancient Cretaceous rainforests. The four frog fossils were not dated directly. 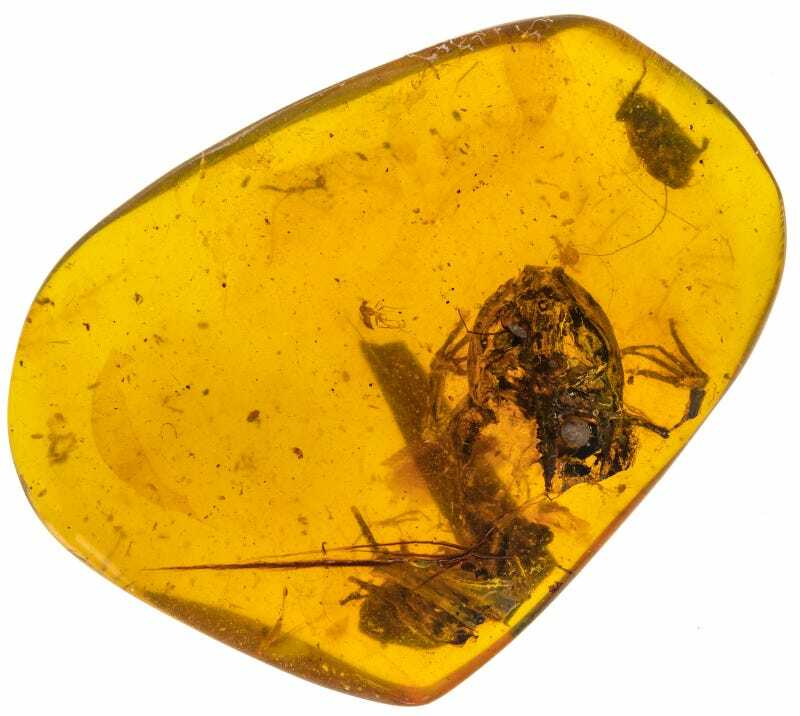 Instead, other amber specimens found within the same geological deposits were previously dated directly and indirectly, including traces of volcanic material and fossilised insects. A comparative analysis of the ancient frogs, dubbed Electrorana limoae, with similar species living today revealed more similarities than differences; it seems frogs haven’t changed all that much across the millennia. In addition to providing the earliest direct evidence of frogs in a wet tropical forest ecosystem, these are the oldest records of frogs preserved in amber. Prior, the oldest were from amber deposits found in the Dominican Republic, dated to around 25 million years ago. For Blackburn, it’s a discovery that still blows his mind.